Service San Diego county since 1997. • Visit the Leader of the Pack blog for news, updates and interesting information about dogs and training! 1 To start any type of training or pet sitting I would like to know a little more about you and your dog/pets. Please give a call or complete the contact information below so we can set up a time for your free consultation. 2 The consultation is really a question and answer session to make sure I know exactly what your concerns and goals are and you will understand what your part will include and most important I get to meet your dog/pets, personally my favorite part. 3 We get started training. Hope to hear from you soon. Hawaii by owner Denise Dill and relocated to San Diego in 2009. 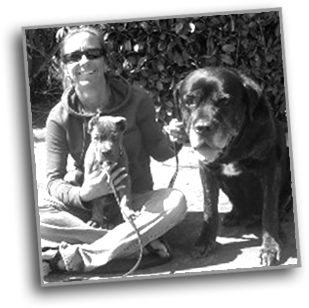 Having studied and trained under the late James Wendel of Pacific Coast K-9 from 1997 to 2007; Denise is able to offer San Diego's dog owners a huge variety of dog training services. Denise also served as the kennel supervisor for the Seacrest Kennels, overseeing the health and well-being of a large number of animals. Denise is certified in basic on-leash and advanced on-leash/off-leash obedience, as well as personal protection and guard dog handling. She will customize a training program to suit even the most difficult dog and will work with any breed, any age. Denise uses various training methods, as well as an understanding of the 'wolf pack theory' and the social leadership roles between dogs and their owners. The focus is on establishing proper communications with all training programs. Six week class covers all basic obedience commands on leash, sit, down, sit stay, down stay, easy/loose leash walk, heel, come, leave it and introduction to correction collar. Six week class covers all basic commands off leash and long line work. Dogs must have gone through beginning class and passed to be eligible for advanced class. An eight day head start program that covers all basic obedience commands on leash and minor behavior issues such as jumping and barking. Owners need to be available to drop off and pick up dogs daily. Upon completion owners will receive two follow up lessons to learn proper handling of dog. Cost $650.00 to $850.00 will be determined upon evaluation of dog prior to start of training. One Week: Six week class covers all basic obedience commands on leash, sit, down, sit stay, down stay, easy/loose leash walk, heel, come, leave it and introduction to correction collar. Two Weeks: Fourteen days and fifteen nights. Your dog will receive half days of training and half days of play times. Training covers all basic on leash commands and introduction to long line and off leash training. Upon completion of stay owners will receive three follow up lessons at a predetermined location. Cost $1100.00 to $1300.00 will be determined prior to training pending the evaluation of your dog. For dogs not old enough, not social enough or with more severe behavior issues Leader of the Pack K-9 Training also offers private in home lessons. Cost starts at $65.00 per lesson - number of lessons and set price per lesson to be determined prior to training pending evaluation of dog. All Group Classes, Doggie Day Camp, and In Board Training will be done at Dogtopia - San Marcos dogs must pass daycare criteria and be current on all vaccinations. Leader of the Pack K-9 Training will combine any of the above listed training programs to suit you and your dogs needs. Please contact Denise with any questions. Message has been sent successfuly. Message has not been sent successfuly Please send mail again. In Loving Memory of GONZO. Best friend and loyal companion.